Sekiro: Shadows Die Twice is the latest title From Software has been working on, and this new trailer reminds us how austere it might possibly be. From Software's Sekiro: Shadows Die Twice is bringing its unique brand of challengee to players very soon, and with it is an official gameplay trailer rife with plenty of new footage to pore over. The latest video to be added to the long line of Sekiro footage players have been afforded is the official gameplay trailer, complete with narration and introductory sequences to ease players into its nightmarish world. The video introduces the various components of the game, from its storyline to stealth elements and combat segments. It goes over the posture mechanic that you'll have to test out when you try the game on Friday when it releases, and dazzles in the trailer with some particularly great-looking footage. 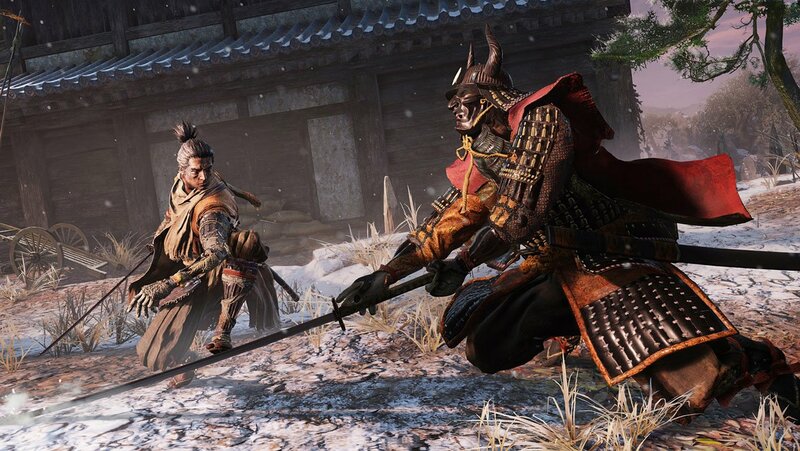 Ozzie Mejia checked out Sekiro: Shadows Die Twice ahead of its debut, and came away impressed. "In the last preview, I noted that Sekiro: Shadows Die Twice would test player resolve and patience. I'm comfortable in doubling down on this statement after a second go-around with the game. Those who love the SoulsBorne games likely have another winner on their hands here. But like those games, getting to the end or even making any significant progress is not easy and will have to be earned every step of the way," he wrote. The upcoming action adventure game follows a shinobi named Sekiro during the Sengoku period of Japan as he looks to exact his revenge on the samurai who kidnapped his lord. It's a third-person action adventure game that includes From Software's signature elements, taken from the Souls series, but no role-playing or multiplayer elements. Combat also requires players to use their katana for poise and balance to find openings and then strike with killing blow. Fans of the Bushido Blade series will no doubt find this satisfying. If you can't wait to get your hands on Sekiro: Shadows Die Twice, keep an eye open for it as it releases this Friday on Xbox One, PlayStation 4, and PC. That's just enough time to get in some practice with Bloodborne or Dark Souls to make sure you're combat-ready. We didn't say it would make you good at it, just combat-ready. That's the best you can ask for with this kind of game.